PARK CITY – Not sure what to do with the kids this weekend? 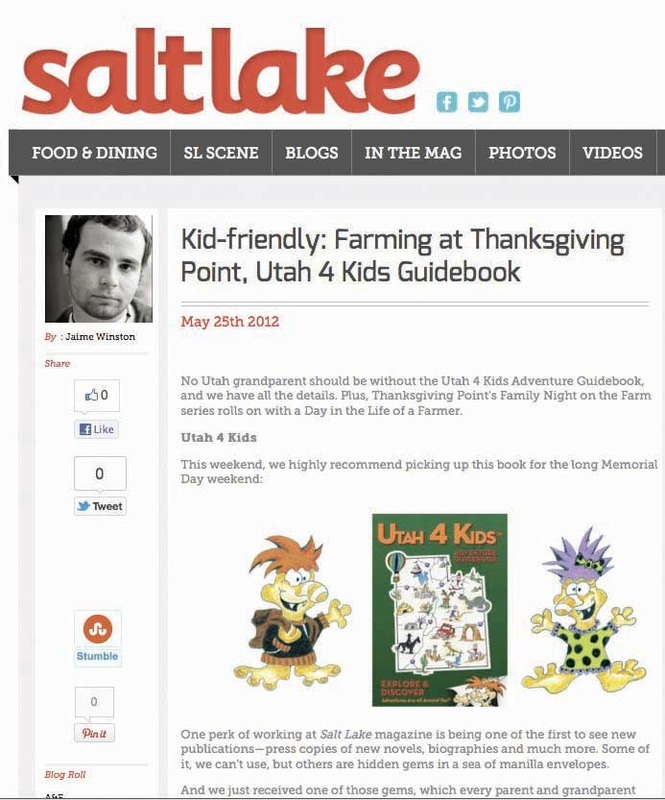 Wait no more, the new book “Utah 4 Kids Adventure Guidebook” will get you started on the most amazing Utah adventures. Written and illustrated by Samantha Simon, Utah 4 Kids Adventure Guidebook introduces a series of characters called the Fardoodles as the spokescreatures. The Fardoodles are little creatures with big noses and funny toes. Their entire job is to engage children in fun across Utah. The author challenges parents, grandparents, aunts and uncles to take full advantage of the activities offered throughout Utah from St. George to Logan and find better ways to connect with kids in their lives. The book was published by Connector Publishing of Park City, Utah. Utah 4 Kids Adventure Guidebook includes interviewed experts: Mark Eaton, Former NBA Basketball Player; Nikki Stone, Olympic Gold Medalist; Chris Waddell, 13-time Paralympic Medalist; Kathy Oster, M.D. ; Katherine Hoggan, M.S. ; Dana Williams, Park City Mayor and Phuong Le, Art Therapist. For more information on the 224-page book or the author, please visit www.utah4kids.com. 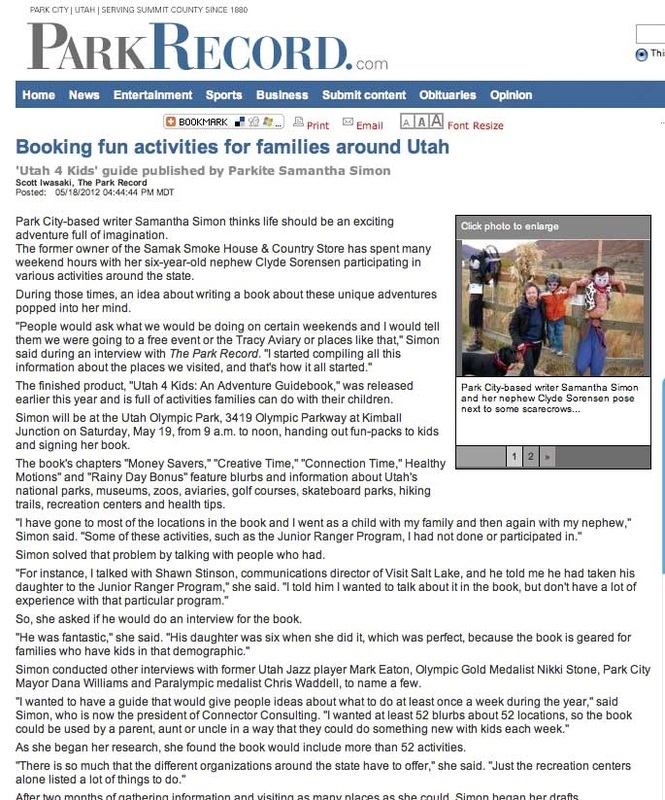 Wow...it that author Samantha Simon of Utah 4 Kids on KSL? Yes, it was "mucho" fun hanging out with reporter Jennifer Hardman sharing ideas of fun things to do with kids across the state of Utah. It was great fun doing a wonderful interview with Park City Television and Chelsea Haviland Miskin. We had a chance to talk about wonderful activities that kids can do across our beautiful state of Utah. As Chelsea put it, "We live in a great place." to know who had the best Fardoodle hair. Does Samantha have the best Fardoodle hair? Or does John have the best Fardoodle hair? Samantha Simon has been compelled during her entire life with the development of creative ideas. She contributes a large sum of success to being an observer. By connecting her talents of writing, drawing, and observation, she developed an entire book devoted to engaging kids in fun across Utah. She is passionate about making a difference, and goes the extra length to get there. Samantha started to look deeper into what she had done in the past that would fit into a great project. She could see a definite pattern over the years. People had repeatedly told her she was great with kids. When Samantha lived in Spain with a family, she had bought foam swords and played with the kids on the beaches of Spain. One of Samantha’s nephews had been spending a lot of time with her on weekends and she loved being part of his growth and development. They could often be found playing in the living room in a cardboard rocket ship. Children loved her playfulness and it started to become apparent what direction she needed to head. Her latest project has brought her back to her roots where she helps kids engage in creative fun across Utah. 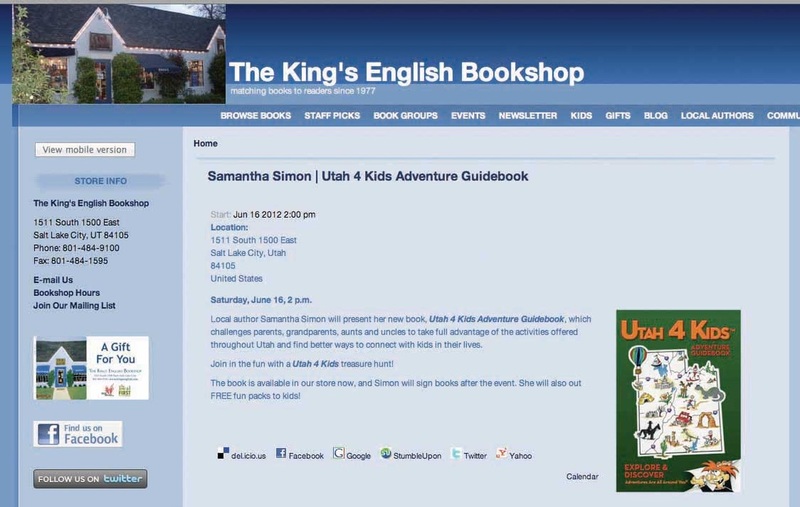 Her recently published book: UTAH 4 KIDS is an adventure guidebook that parents, aunts, uncles, and grandparents can use to help the kids in their life connect with fun adventures all over the state of Utah. We are a supportive community encouraging adults and children to engage in playful fun across Utah. We create memories that last a life time. Explore and discover, adventures are all around you. 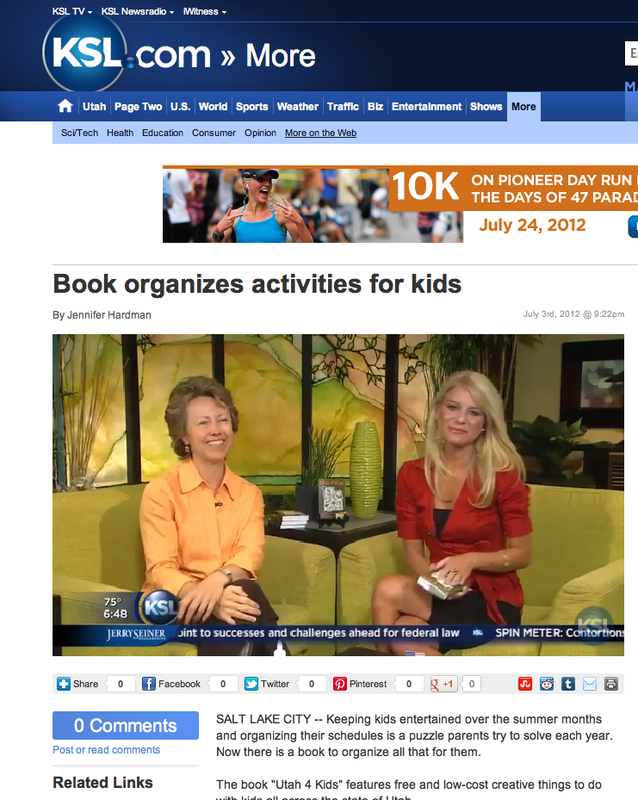 As amazing Sam also known as the, "The Adventure Guide", UTAH 4 KIDS became her gift to families across Utah. It had been inspired by her nephew Clyde and all the amazing adventures that they had shared in Utah. She knew all of us get busy, and that we all need to use our imagination more. Her book is all about that. In the end, someone needed to tell the story and teach children and adults how to have more fun, and with that the Fardoodles were born. The Fardoodles are little creatures with big noses and funny toes. Their entire job is to engage children in fun across Utah. Samantha is a serial entrepreneur and energetic self-promoter. She owned and operated The Samak Smoke House and Country Store for eight years and was then sold in 2004. She currently owns Connector Consulting, and is now expanding her new venture called: UTAH 4 KIDS. Her Samak Smoke House & Country Store, an award winning operation, grew from $20,000 in annual sales to $200,000 before being sold. She was known for her customer service and was voted for having the best beef jerky in the state of Utah. Samantha had a fast-growing real estate solutions company that helped homeowners in trouble with foreclosure. She was in charge of rehabbing homes and is passionate about adding value to properties. This led her into developing a coaching and teaching program that taught people how to make money investing in real estate. She served for one year as the Chief Creative Officer of the Utah Valley Real Estate Association. In addition to investing and teaching about real estate investing, Samantha enjoys teaching an Entrepreneur Forum every fall at Salt Lake Community College and has done this for almost a decade. Samantha has a degree in Spanish from the University of Utah which she completed while working full-time in 2008. Born and raised in Utah, she now calls Park City her home.